"The book on jihad that Donald Trump needs to read." "A fine overview from] one of the shrewdest observers of contemporary Muslim activism...Draws together the strands of a highly complex reality to create a picture that is not just convincing but readable." In The New Threat prizewinning frontline reporter Jason Burke cuts through the mass of opinion and misinformation to explain the nature of the threat we now face. 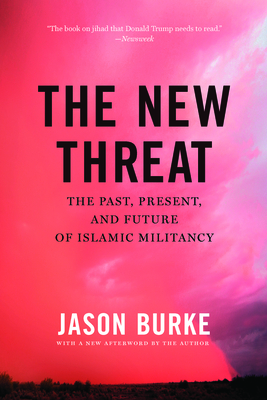 Shortlisted for the Orwell Prize, The New Threat offers insight into the rise of ISIS and other groups, such as Boko Haram, which together command significant military power, rule millions, and control extensive territories. Elsewhere, Al Qaeda remains potent and is rapidly evolving. As a new generation of Western extremists emerges--as seen by the horrifying attacks in Paris and Brussels as well as the "lone wolf" operatives in the United States--Burke argues it is imperative that we understand who these groups are and what they actually want.